The idea in this conceptual model is to test an extreme case of a construct that extends and encompasses all the networks of transport: roads, rail, highway and tunnel. 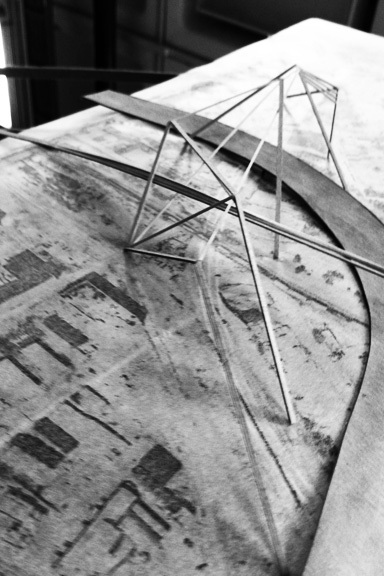 I realize the model is off scale, but the idea is to explore the relationship between the large infrastructural pieces and how they might begin to stretch outwards. 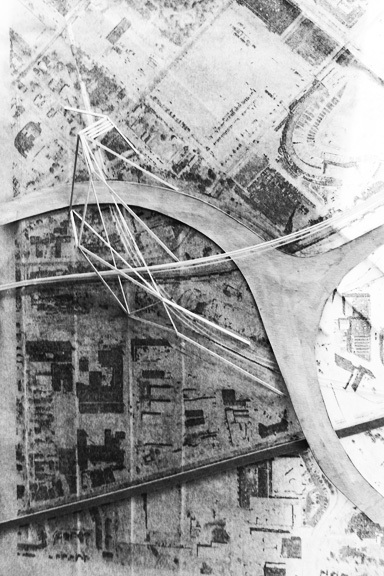 This is the first in a series of studies of the site and interchange propositions. The project will certainly evolve so check back for updates!